One of my first posts was about Waterloo having lost the 'Intelligent Community of the Year' award to Taipei, China. Well, we just scored the equalizer! 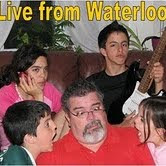 The Intelligent Community Forum named Waterloo, Ontario, Canada as recipient of its 2007 Intelligent Community of the Year award. Well done! Thanks, Ziegler, for the tip.